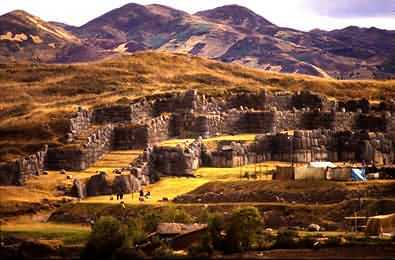 Sacsayhuamán (also known as Sacsahuaman) is a walled complex near the old city of Cusco, at an altitude of 3,701 m. or 12,000 feet. 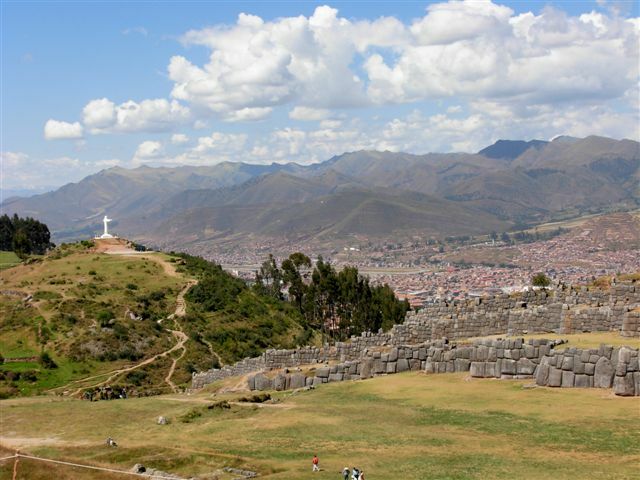 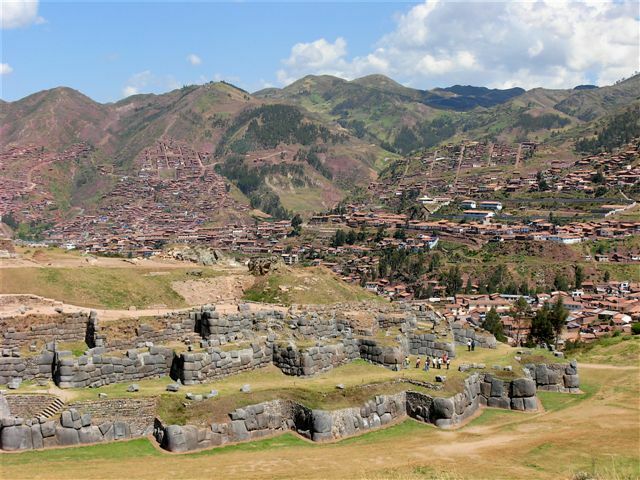 The site is part of the City of Cuzco, which was added to the UNESCO World Heritage List in 1983. 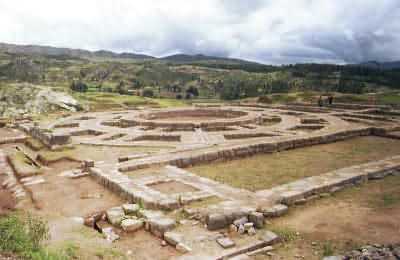 The archaeological park is located north of the city of Cuscoco and covers an area of 3,094 hectares. 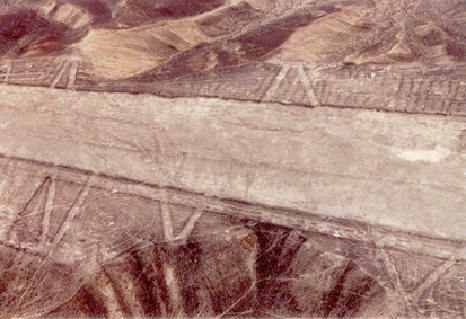 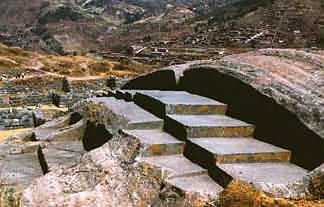 It contains more than 200 archaeological sites. 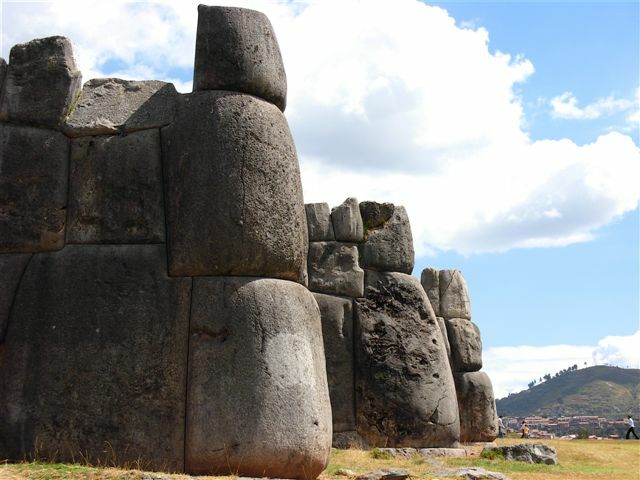 Leading to Saqsaywaman there are two paved roads, one starts in the old and traditional neighbourhood of San Cristobal and is about 1.5 kilometers long and the other road begins at Avenida Collasuyo and is 4 kilometers long. 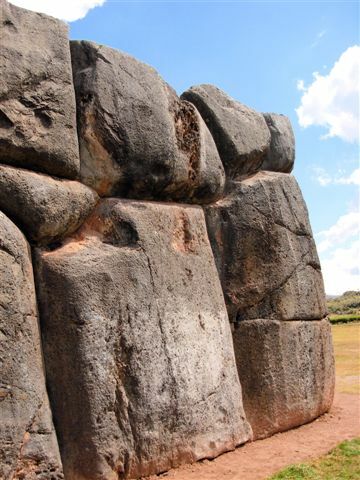 The stones fit so perfectly that no blade of grass or steel can slide between them. 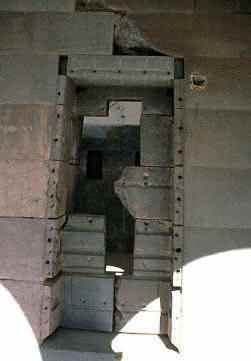 There is no mortar. 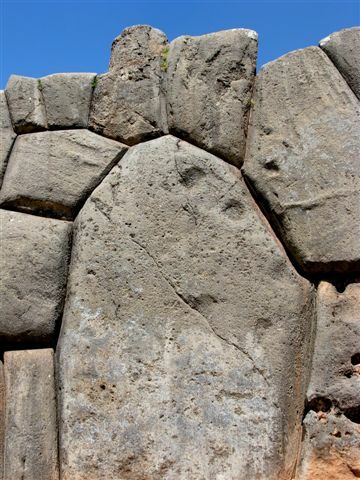 They often join in complex and irregular surfaces that would appear to be a nightmare for the stonemason. According to Indian legend, Cusco was so barren that no crops could be grown there. 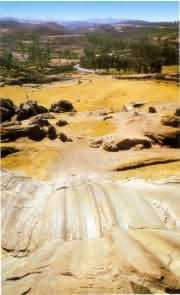 In what is now the center of the city, there was a lake and a bog. 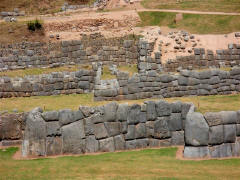 The second Inca, Sinchi Roca, had the swamp drained and filled with stones and logs until it was firm enough to support their stone buildings. 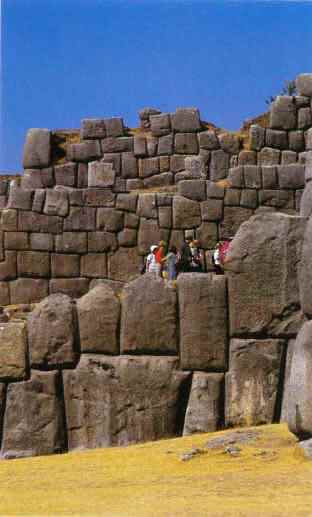 He also had thousands of loads of good earth brought in and spread over the land, making the valley fertile. 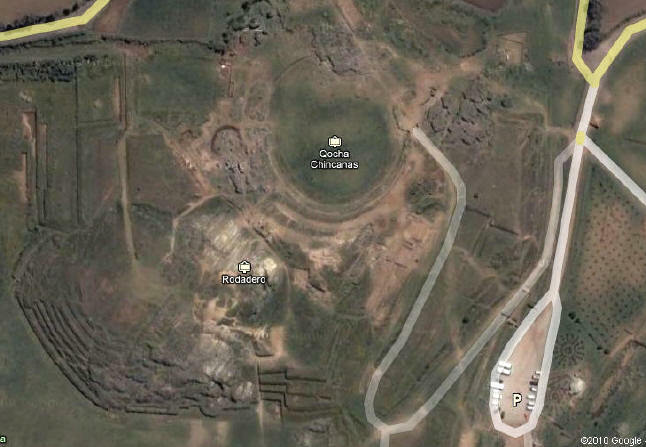 What could possibly have been the attraction of this barren, boggy place? 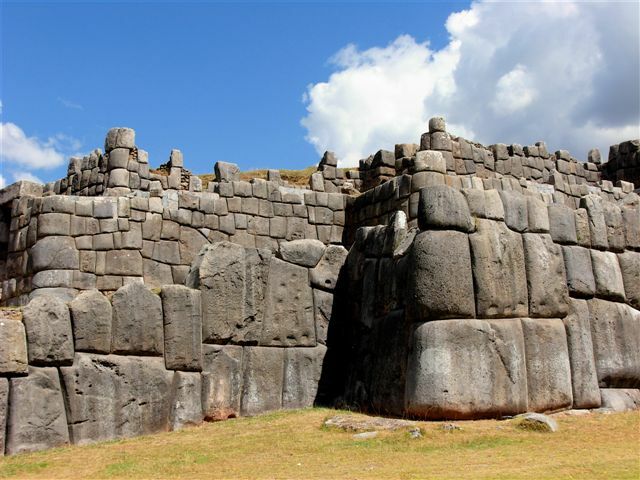 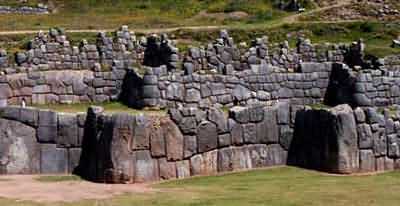 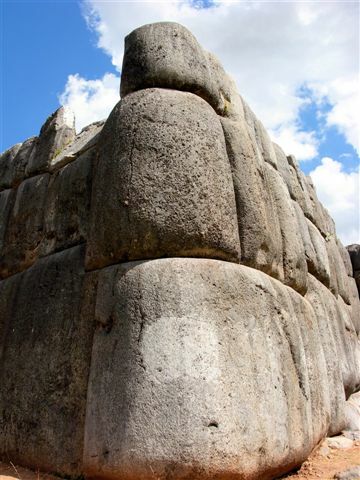 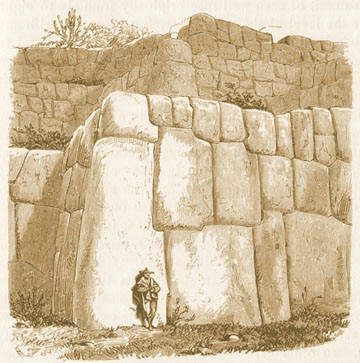 Suppose the magnificent lower walls of Sacsayhuaman were there before Manco Capac came to Cusco. 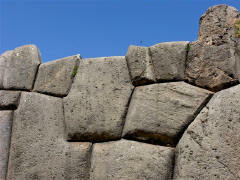 That in itself would be enough to make the place holy. 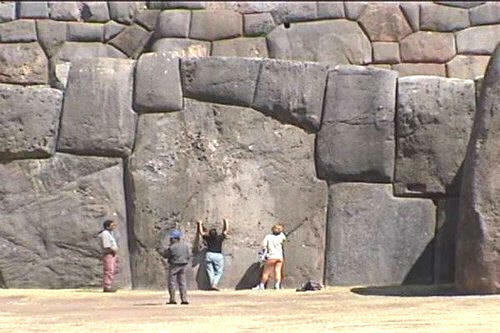 The imperial city Cusco, meaning ‘navel of the earth,’ was laid out in the form of a puma, the animal that symbolized the Inca dynasty. 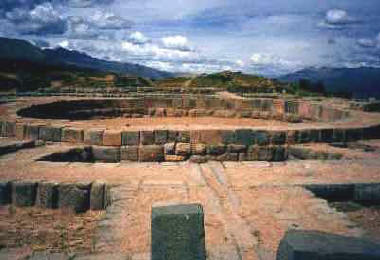 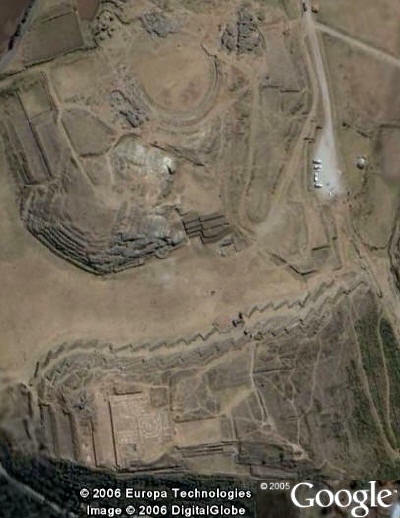 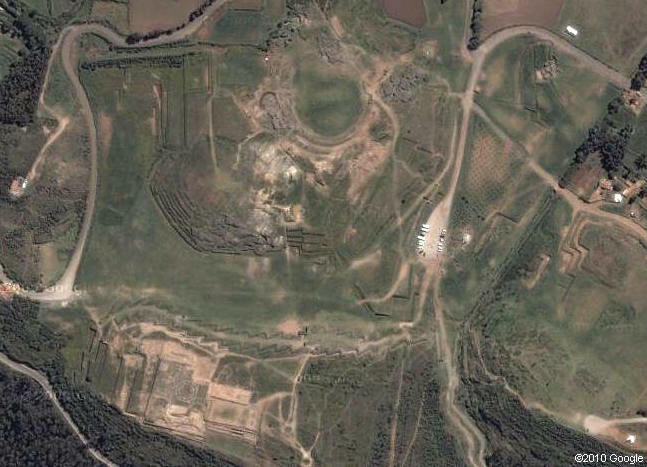 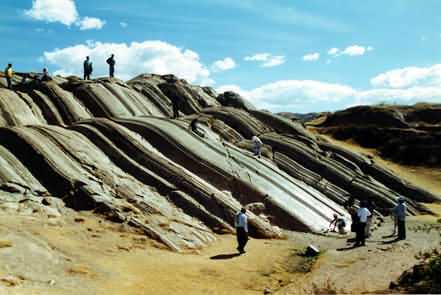 The belly of the puma was the main plaza, the river Tullumayo formed its spine, and the hill of Sacsayhuaman its head. 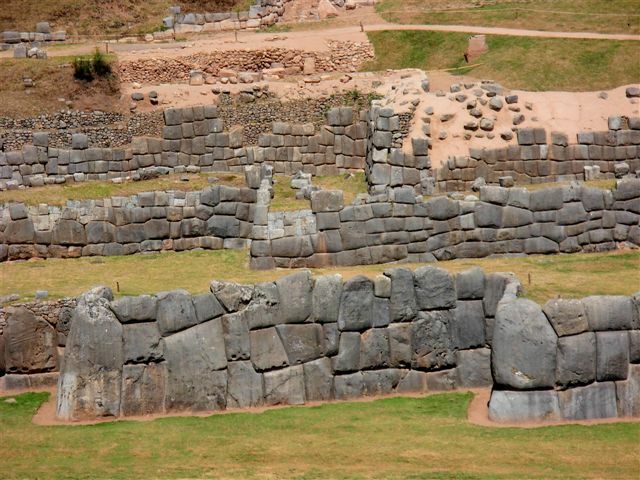 According to one early Spanish chronicler, the Inca emperor Pachakuti, who had made a pilgrimage to the ancient holy city of Tiahuanaco, sought to emulate the building perfection he had seen there in the construction of Cusco’s temples. 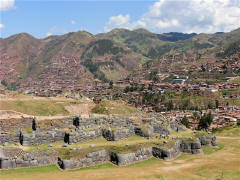 Cusco, however, was not really a city in the European sense of the word. 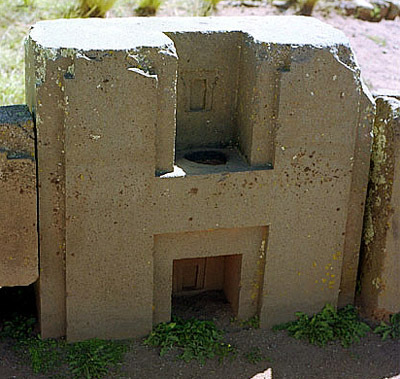 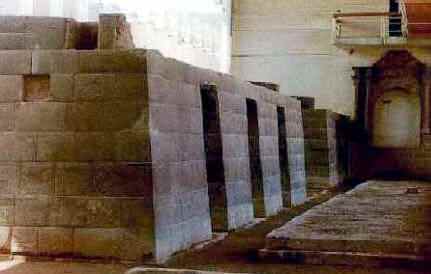 Rather it was an enormous sacred artifact, the dwelling place of the families of the Inca nobility (common people were not allowed entrance to the ceremonial nexus), and the center of the Inca cosmos. 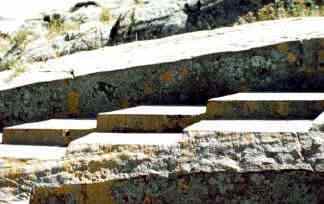 The rock is smooth and rounded, like it was polished by a glacier.